The demo process goes quickly and mostly without a hitch. Mostly being the operative word here, because as any remodeler knows, you’re never quite sure what you’re dealing with until you start to peel away the layers. 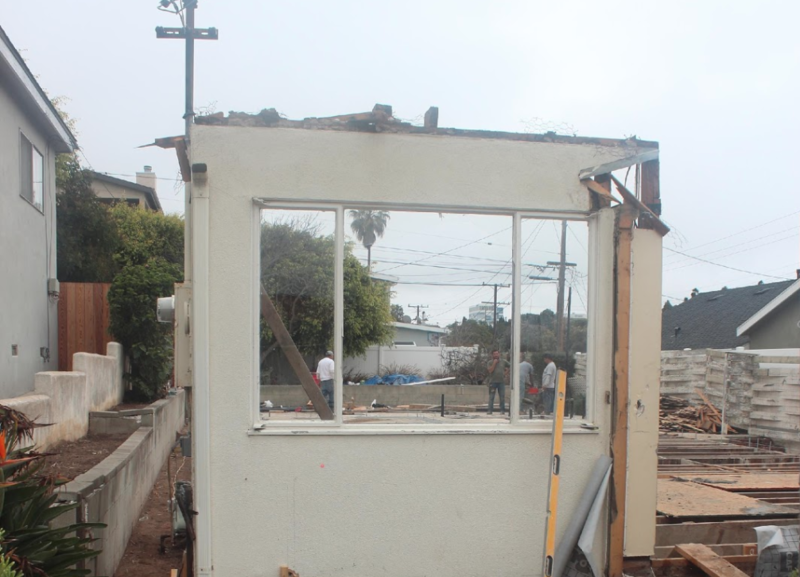 In this case, the original plan was to retain the garage, the foundation and the exterior walls. However, demolition reveals that the wall studs have extensive dry rot and termite damage, so they must go, along with many of the floor joists. The silver lining on that little cloud? “It allows us to move from 8-foot to much nicer 9-foot ceilings,” says Bill. 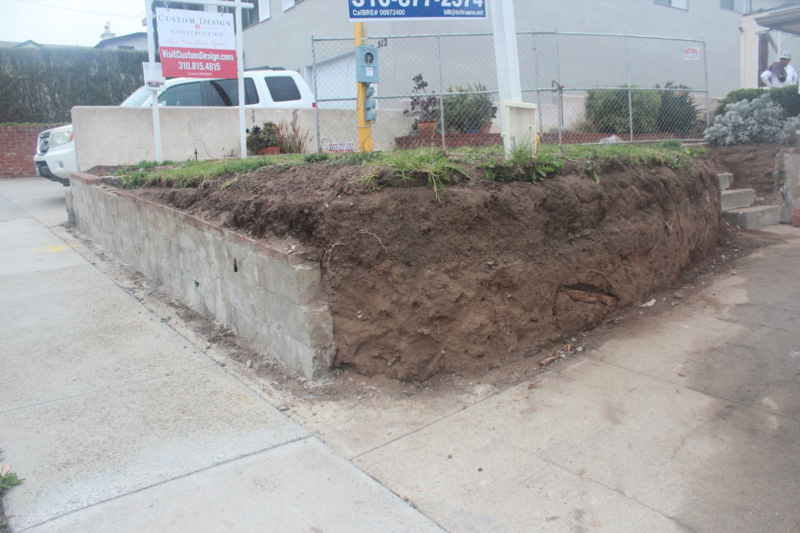 One other small hiccup: It’s decided that a front-yard block retaining wall with a 90-degree return that is cosmetically faced with rock that has become quite worn will have that rock removed and replaced. However, when the rock is removed, it turns out that one of the two sections, in fact, has no block wall underneath—just mortared rock! So, that small section of block wall will need to be added and then faced.